John Carrier, Ron Wallace Clarke, Dr J. R.
Military Library, Jukka R Koivusaari, Yasufumi Kunimoto, Peter Labbett, Jakob Lippert, Leo Marriott, Tim Mason, Steve McGregor, Freddy to the sections on French, Swiss and Russian devel- Mead, Robert A. Mellichamp, Jim O'Brien, Keith opments as well as producing the cartridge Painter, Mats Persson, Phillipe Regenstreif, John drawings in Appendix 3; Ted Bradstreet, who pro- Salt, Yuji Sasaki, Paul Smith, Peter Smithurst of vided much information about German and espe- the Royal Armouries (Leeds) and David Stone. World War Two fighter armament (http://www. geocities.com/CapeCanaveral/Hangar/8217/). Ernst Jaggi of Oerlikon-Contraves, V. Köhne and Corina Wassner of Mauser-Werke Oberndorf, B. The question any author is likely to be asked (or, indeed, to ask himself) is, 'Why write this book?' In my case the answer goes back to my student days more than thirty years ago, when I first took up competitive rifle shooting. This sparked an interest in the weapons themselves and in the ammunition they used. The interest developed over the years (somewhat patchily, as career demands intervened) and extended to cover the range of military technology - but always with guns and ammunition at the core. After a while this interest became combined with an enthusiasm for writing and a series of articles for various magazines followed, on such diverse subjects as hunting rifles, military small arms, anti-tank rifles, heavy machine guns, automatic cannon, aircraft armament, naval guns and even battleship design. The genesis of this book lay in a combination of frustration and opportunity. There is plenty of published information about rifle-calibre machine guns and other infantry weapons, but very little about the larger-calibre automatic guns, even less about their ammunition and virtually nothing about why particular choices of equipment were made or how well they worked in practice. Worse, I soon realised that what little information there was frequently contained major errors (often repeated by authors who borrowed from preceding works). The opportunity came from access to the Ministry of Defence Pattern Room at the Royal Ordnance Factory, Nottingham - a matchless depository of equipment and information. This book is the result. 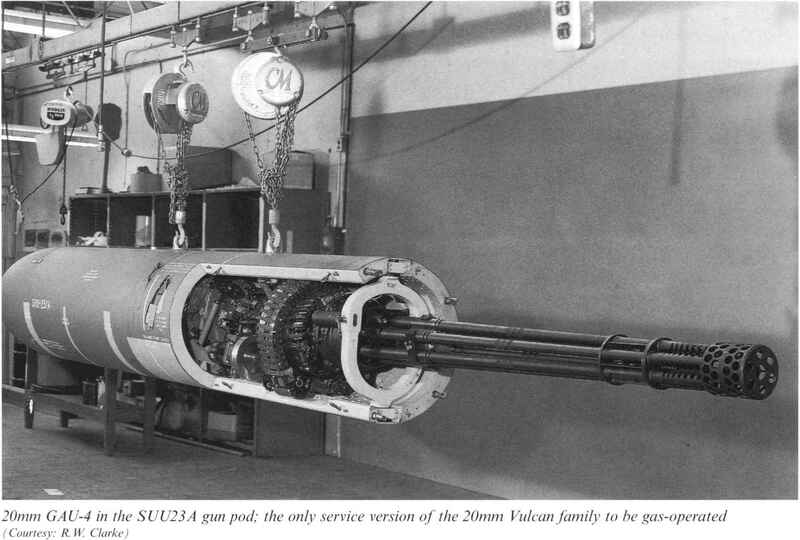 The scope is admittedly ambitious, covering as it does all heavy automatic weapons (12.7-57mm plus a few others) of every nation throughout the twentieth century, whether used by armies, navies or air forces. I freely admit that despite my best efforts, some errors and omissions are almost inevitable in such a work. If any readers can supply more information it will be gratefully received! The book may be used as a reference work, as it contains tabulated data for the weapons and ammunition as well as a cartridge identification guide. However, I hope it will be read for more reasons than that. I have tried to give some understanding of the factors which have influenced both the designers of the weapons and the military procurement authorities who acquired them. Gun and ammunition design is usually a struggle to reconcile conflicting requirements while achieving the maximum performance with the minimum size, weight and cost. Sometimes the result is spectacular success, at other times dismal failure. Perhaps most frustrating of all for the designers is to produce a technically flawless weapon system, only to win no sales because the time wasn't right or the military s priorities were elsewhere. I have enjoyed writing this book; I hope you enjoy reading it.